A-T Controls goal is to offer the finest quality, highest value products available today. Our extensive inventories and highly experienced staff provide the customer solutions to valve and actuator requirements with the best turn-around in the industry. A-T Controls Valves and Actuators are used in virtually every industry including Gas and Oil, Refining, Petrochemical, Chemical Processing, Pulp and Paper, Mining, Transportation, Food and Beverage, Pharmaceuticals, Ship Building, HVAC, Power. A-T Controls employs well experienced Technicians with an average industry experience of 14 years. All assemblies are calibrated, tested and properly packaged to assure that the user receives the exact product required for their application. Complete IOMâ€™s are available online in the Downloads section. Every actuator and actuated assembly is provided with a serial number upon completion which allows for easy traceability. 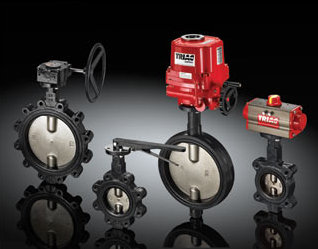 Additionally, A-T Ball valves may be furnished with CMTRâ€™s if requested at time of order. As we continue to grow and become a major supplier to the industry, A-T Controls will add the necessary people, inventory and new product designs to set us apart from the rest of the pack! A-T Controls goal is to offer the finest quality, highest value products available today. Our extensive inventories and highly experienced staff provide the customer solutions to valve and actuator requirements with the best turnaround in the industry. Our products are used in virtually every industry including Gas and Oil, Refining, Petrochemical, Chemical Processing, Pulp and Paper, Mining, Transportation, Food and Beverage, Pharmaceuticals, Ship Building, HVAC, Power.